Every once in a while I get roped into doing an off the wall task to help someone out. This time I ended up helping out a friend of mine with her grandfather’s old vest pistol. They did not know anything about this pistol and had found that it would jam up consistently. 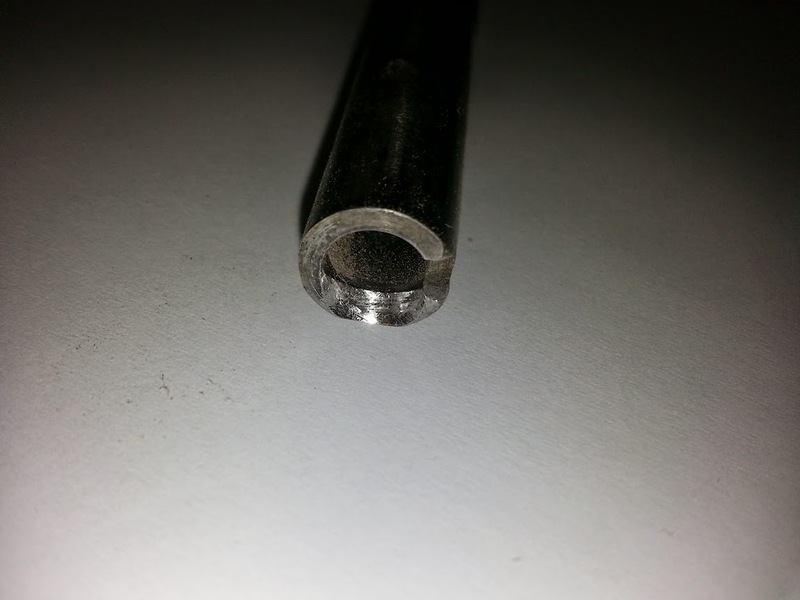 It appeared that the feed ramp on the barrel was hanging out too far and was catching the lip of the casing when a new round was fed from the magazine. Being the highly motivated and overly DIY type person that I am, I went ahead and volunteered to polish up the feed ramps to get rid of this lip a bit. Gunmaker unknown, but from Spain. 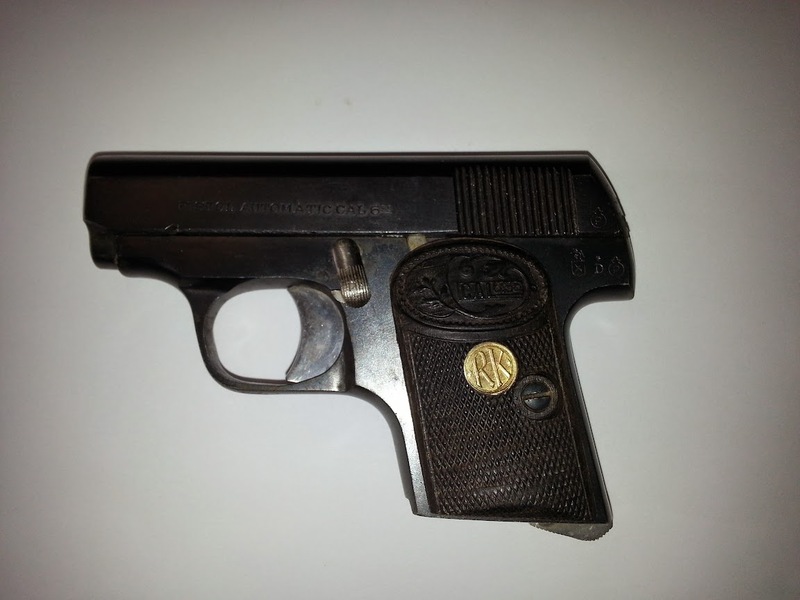 Typical Eibar-pattern, proofing code “star over D” indicates this pistol is from 1931. Here is what I see with the feed ramp. The way that the barrel comes out is a bit bizarre. 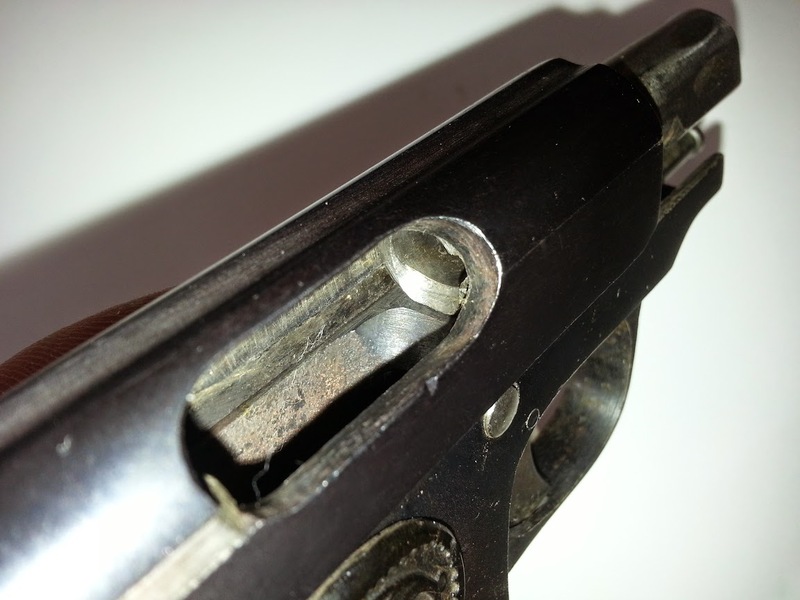 If you lock the slide to the rear, the barrel twists on lugs and then slides right out. I have yet to get the whole pistol apart to get a size for new springs. I did polish up the feed ramp for her, though. 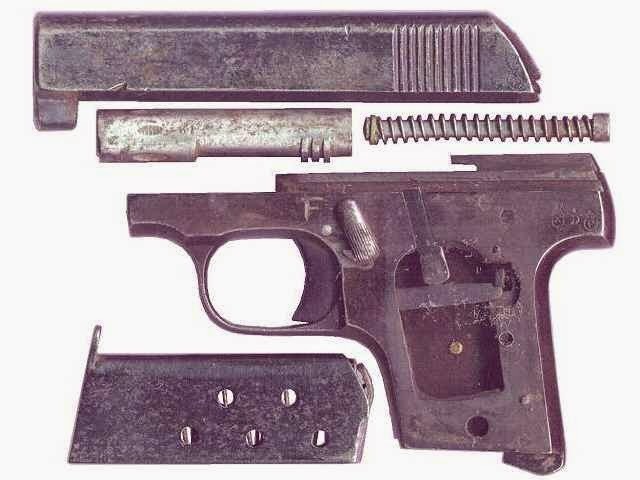 It would be nice to get the pistol apart to do some work on it with some fine sandpaper to smooth out the action a bit, but this should help it a lot. Here is a bit of information such as schematics and such about the pistol. I still can’t get it disassembled, though. I am working on it and have faith. This is really a neat little pistol. 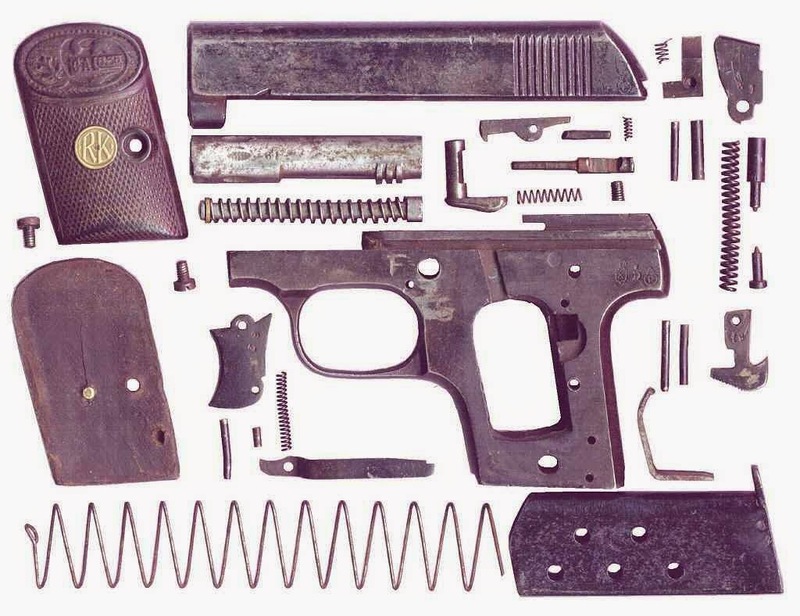 I have hopes in getting it apart to smooth everything out as well as find a new spring to tighten up the action a bit. If you know anything about these or have any resources for these pistols, please comment and let me know. This entry was posted in DIY Projects, Firearms and tagged .25 acp, 25 auto, 6.35 mm, 6.35mm, R.K. pistol, RK pisol, vest pistol on March 4, 2015 by Woodsbum. This gun is a copy of the Astra 200. There is a pdf of the Astra but I can’t make the link. Looks like your having fun with all your activities, keep up the good work. Thank you for the good words. I will do some research on the Astra 200. If there is a .pdf online I can probably find it. Thank you for the information.